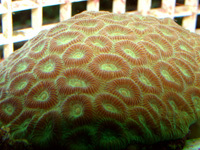 The largest selection of coral, invertebrates, crustaceans and more! We carry a large and ever changing selection of large coral and frags in our 2-8ft by 3ft by 18 inches tall aquariums illuminated by 7 kessil AP700 LED lights systems. We have a great food selection: DTs, Reef Pods, S-Strain Rotifers, Nano V Soft Freeze foods, LRS Frozen Foods, Reef Nutrition, and more. 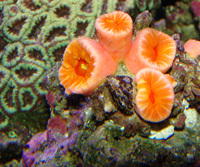 Our expert staff helps you decide what coral is best for your tank. We have a 24 hour guarantee on all coral purchases. Stop in frequently to see what is new. For anyone who is new to the game, an invertebrate (Invert) refers to a wide range of animals including: shrimp, crabs, snails, starfish, urchins, starfish, octopi, squid, sponges, lobster, and the list goes on. 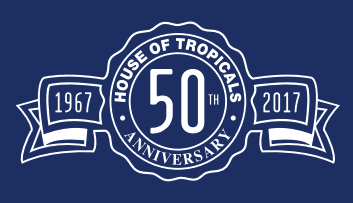 At House of Tropicals, we know inverts. We stock dozens of species and the list changes daily. Cucumbers, sponges, scallops, anemones, fan worms, sea slugs, yellow banded shrimp. They sell fast, so stop in or call to see what is in stock.